Nozipho Mdawe has been appointed as Transnet National Ports Authority (TNPA) Chief Operating Officer (COO), effective May 21, 2018. She takes over the role recently vacated by Phyllis Difeto and briefly held in an acting capacity by Moshe Motlohi. The role of TNPA COO has been expanded and will include: Marine Services, Aviation Services and Pilotage, Continuous Improvement, Port Planning, Lighthouses, SHE & Risk, Security, Emergency Management, Infrastructure, Dredging Services, Ship Repair, Port Control and Port Maintenance. Mdawe has most recently served as Secretary General of the Port Management Association for Eastern and Southern Africa (PMAESA) in Kenya between July 2015 and April 2018. Her Transnet career spans 14 years. She began in the Transnet Corporate Office in 2001, where she drove organizational transformation and worked to align the company’s Human Resources development strategies with organizational objectives and strategies. At Transnet Port Terminals she served for three years as a Business Unit Executive before moving to Transnet Freight Rail (TFR), first as Area Production Manager for the Gauteng Cluster’s production and operations activities and then as Deputy General Manager for Inland Operations. 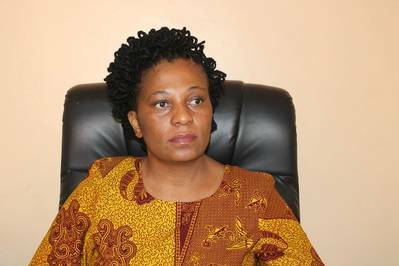 She was promoted and served as General Manager: Mineral Mining and Chrome at TFR between March 2012 and 2015, managing a complement of 1285 employees, turnover of R5.7 billion per annum with total volumes that grew from 18.6 million tons in 2013 to 24 million tons in 2014. She holds a Masters degree in Business Administration from the Gordon Institute of Business Science and is currently in her third year of studies towards a Doctoral Degree through the Jomo Kenyatta University in Kenya. 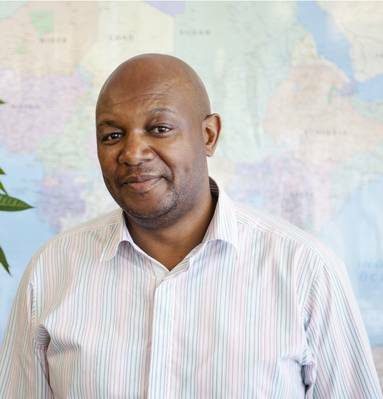 Meanwhile, Moshe Motlohi has been appointed permanently in the newly created role of General Manager: Corporate Affairs and External Relations, based in the Office of the Chief Executive. The aim of the position is to manage, develop, facilitate and sustain effective stakeholder relations, and to create a single point of contact and engagement for all TNPA external stakeholders to ensure the achievement of TNPA objectives. TNPA’s key stakeholders include, but are not limited to, the South African Maritime Safety Authority (SAMSA), Ports Regulator of South Africa (PRSA), South African Association of Ship Operators and Agents (SAASOA) and Government representatives. His responsibilities will include management of the Chief Executive’s office, as well as Corporate Affairs, Public Relations and Media, Port Stakeholder Relations, External Stakeholder Management and Corporate Social Investment (CSI). Motlohi has been in the field of logistics for nearly 20 years, 15 of which have been within Transnet. He served a long tenure at sister division Transnet Port Terminals in various leadership positions before joining the port authority. He most recently headed up management of Southern Africa’s busiest port, the Port of Durban, since 2014. He holds a Management Advancement Program (MAP) from Wits Business School and an Executive MBA from the Graduate School of Business, University of Cape Town.